Fernando Palma distrusts humankind. Conversely, he trusts, in affection, animals, plants, and the gods…nature, earth, maize. Hence the exhibition unfolds like a long and complex landscape of various scenes set in the rooms of the museum. 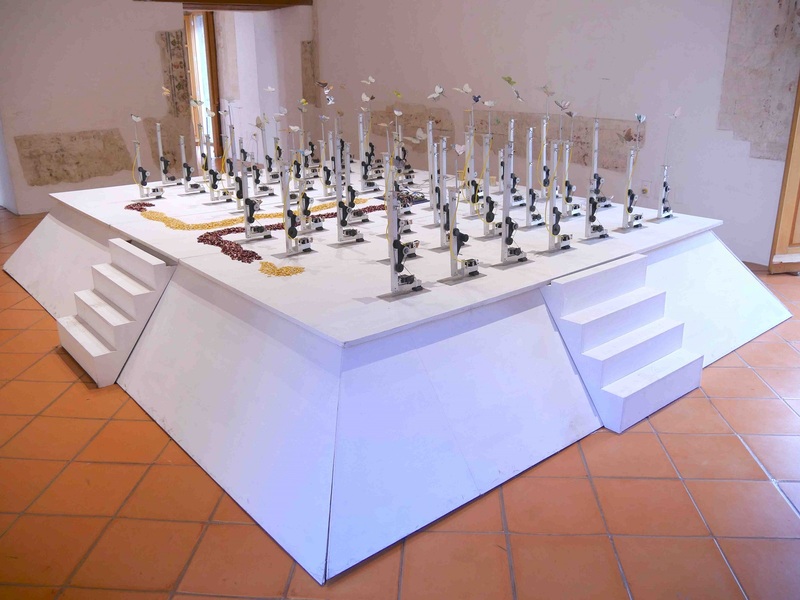 The installations are not ordered chronologically and respond to the different architectural conditions and the luminosity of each space—the museum occupies an old colonial building in downtown Oaxaca, far from any common notion of the white cube: exposed wood, ceramic floors, uneven walls, etc. 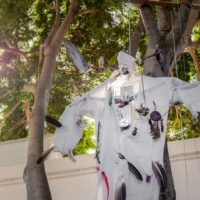 This could reach beyond the installations of the exhibition, as they constantly refer to the colonial past and the old worlds. The artworks are nonetheless harmoniously embedded in this difficult frame, sometimes ignoring it and sometimes playing with it. 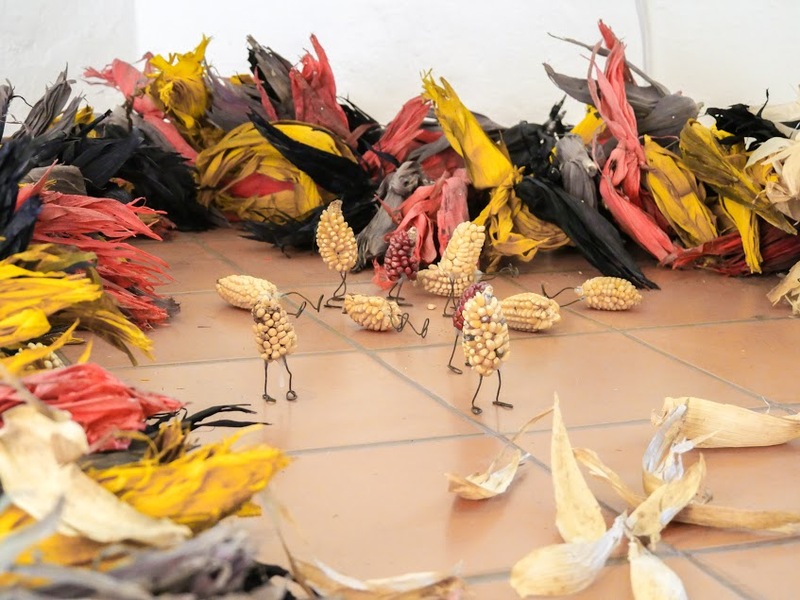 Many of the installations have been shown previously, and visitors who are familiar with Palma’s work will be able to enjoy them gathered here. Others had never been shown before because difficult technical resolutions hindered their achievement. 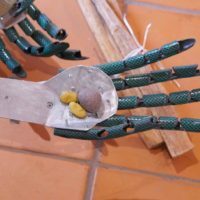 By common agreement between the artist and Oliver Martínez Kandt, curator of the exhibition, these artworks are exposed in their unfinished, sometimes broken state, as if waiting for some kind of magic to come and animate them. 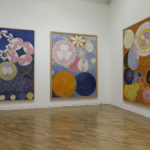 This goes against the grain of the current contemporary art world, where artworks are commonly expected to be presented in a perfect state of achievement. 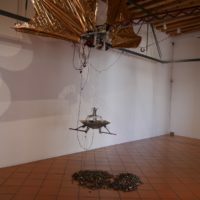 The decision intends to resolve a frustration at the level of production, and matches both the career and the conceptual process of the artist, who has always seen technique and his own strained relationship with it as one of the central issues in his work. Fernando Palma’s work is inseparable from his identity, as he defines himself first as indigenous (indígena, the term for Mexican Native peoples), and secondly as Mexican. Fernando is Nahua, from Milpa Alta, located in the southern part of Mexico City. His life has been like that of many Mexicans of his generation, that is, a life of exile in search of uncertain employment possibilities. Even if in the ‘80s he migrated to Europe to study, remaining there until 2014, he resolved to return to his birthplace and defend its native culture. He not only defends it with art, he is also active in the Calpulli Tecalco civic association, which he manages with his mother, sister and other family members. We could therefore consider that although Palma did not constantly maintain his practice, he never completely dropped it either. 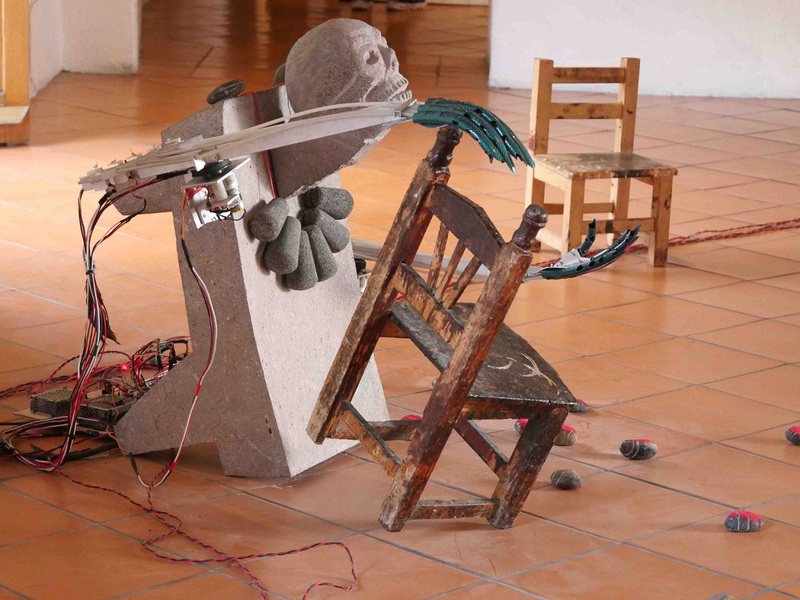 Since his return to Mexico he has held several exhibitions in and outside the country, which also allowed him to resume several unfinished projects. 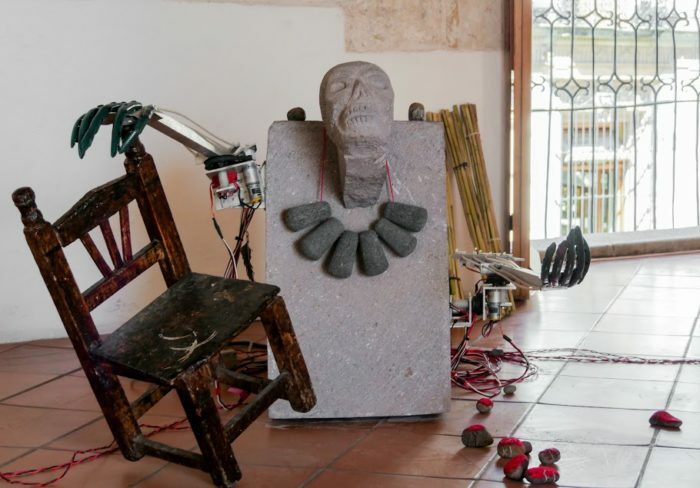 In this sense, the Oaxaca exhibition, which features artworks that Palma resumed almost two years ago, is an excellent opportunity to seize the depth of a work that, due to several circumstances, had remained confidential, despite having been started more than 25 years ago. The front part of the museum, facing the street, features those complex installations that were successfully completed, as well as new artworks combined with older installations. The first room is dedicated to water, an issue that worries Palma and features importantly in his current practice. The scarcity of this resource is indeed one of the main problems in Milpa Alta. 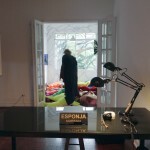 At the left side of the room stands Acqua (2015), an installation of suspended guajes, a type of calabashes out of which he cut extended hands. 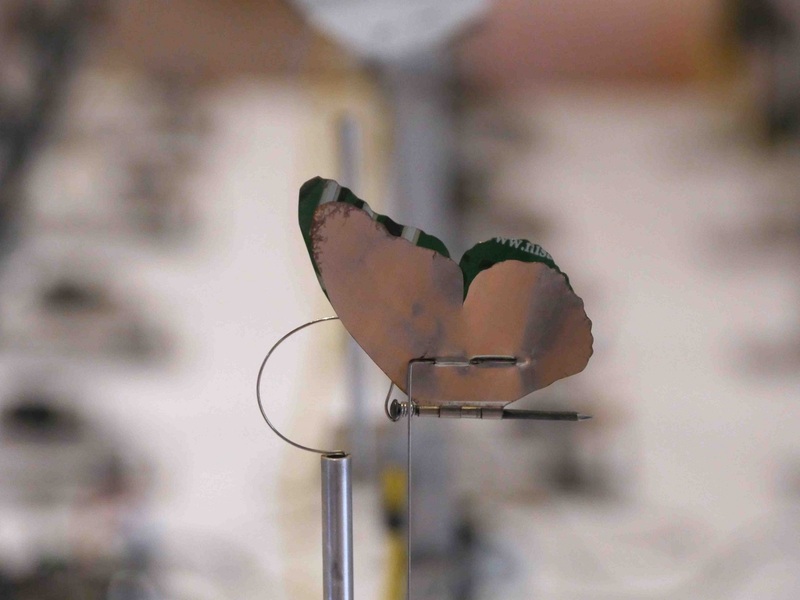 Their opening movements recall the flutter of bird wings or butterflies. 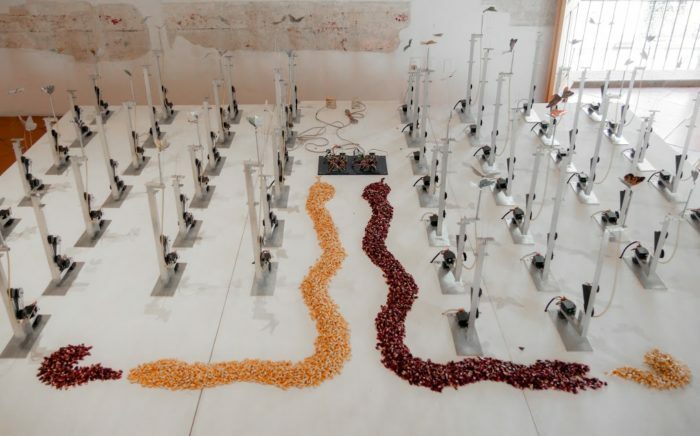 These “creatures” react to a motion detector, a system that is often used in the exhibition. The opening movement reveals an empty space in the guajes, which are traditionally used by indigenous people to contain water. To open the guaje is to release the water…an echo of Sisyphus. On the floor, heaps of soil form a landscape out of which several clay faces emerge, representing Cosiyo, the Zapotec god of rain and thunder. 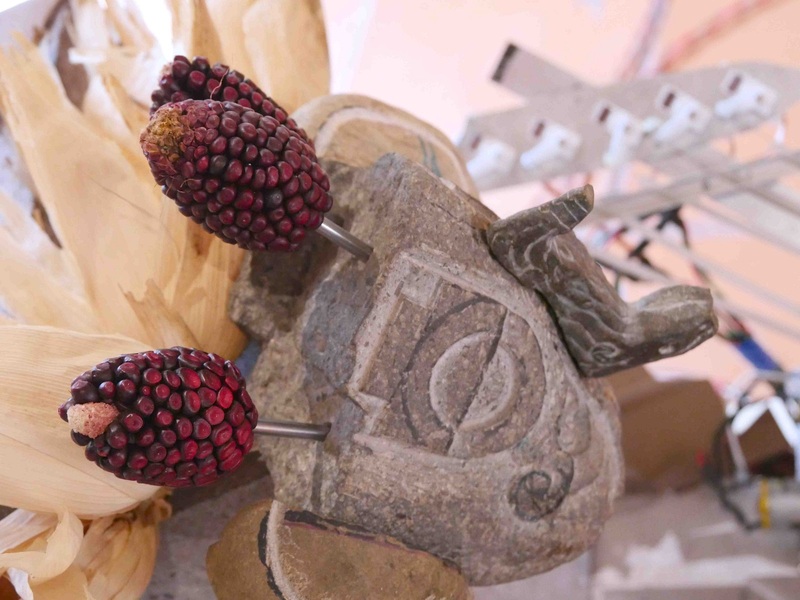 One of the aims of the exhibition is to mix Fernando’s native Nahua cosmogony with those from the Valleys of Oaxaca, where the recent works were produced (the pieces of clay are in this case a collaborative production with artist Lorena Ancona). 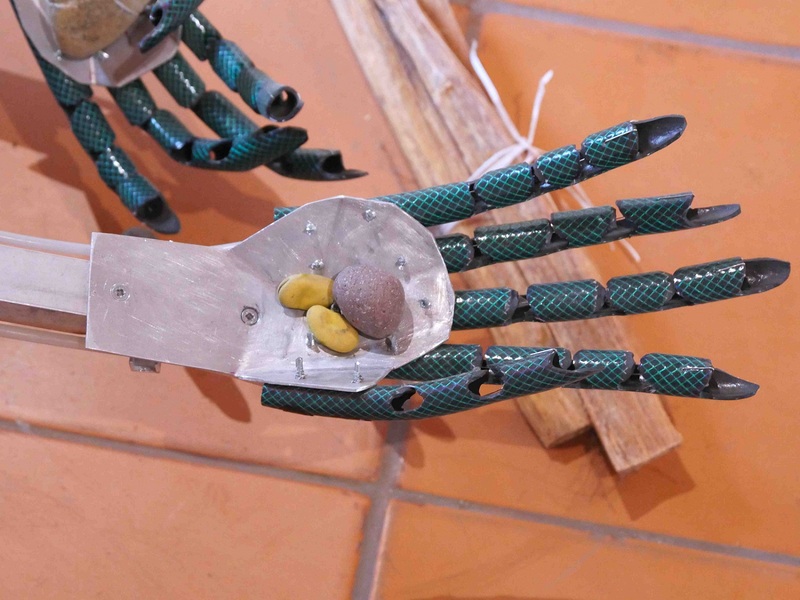 The idea is to give shape to the plurality of the indigenous worlds of Mexico. 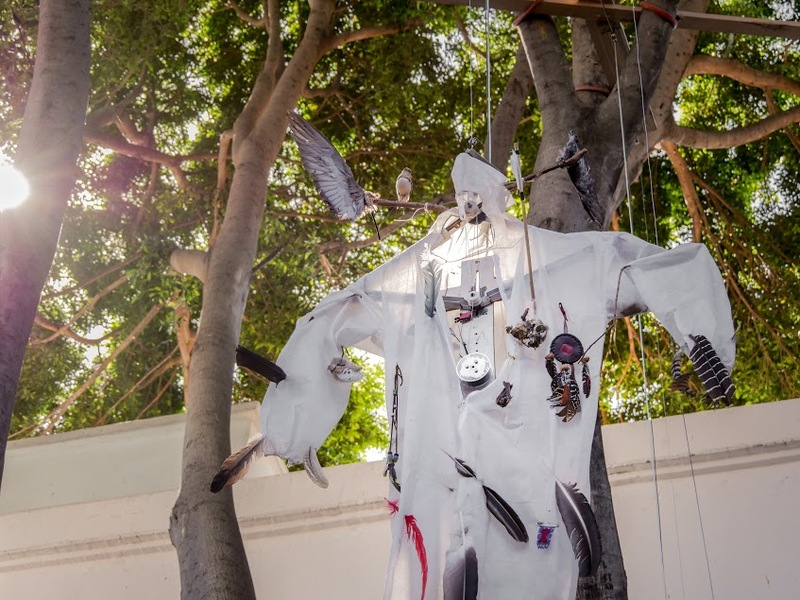 This landscape features Los Nahuales (2017), microcephalic robots with metal heads and LED eyes, small plastic fingers and vegetal capes. The capes were made of palm leaves, a collaboration with a local 86-year-old craftsman, Señor Trinidad Matías. These same palm capes were formerly used by local peasants, before being substituted by disposable and polluting plastic capes. 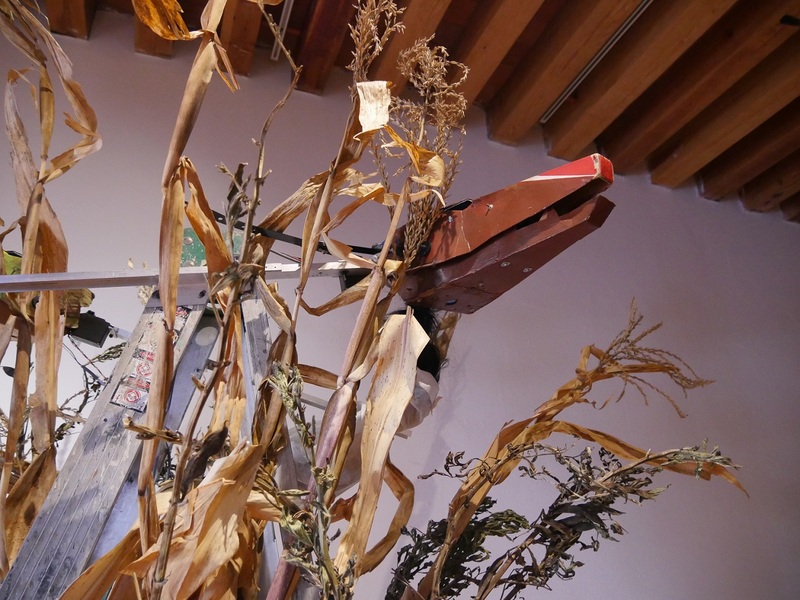 In Palma’s work, material details like this are a reflection about the disappearance of indigenous traditions, practices and everyday customs resulting from the imposition of oil-capitalism and plastic in the countryside. 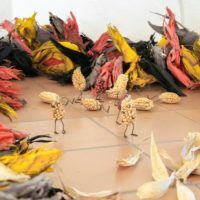 In this way, the reflection on the toxic relationship we have with our environment is synthesized in the faint and sudden movements of the creatures represented in the exhibition, movements that allude both to the agony and resistance of nature. 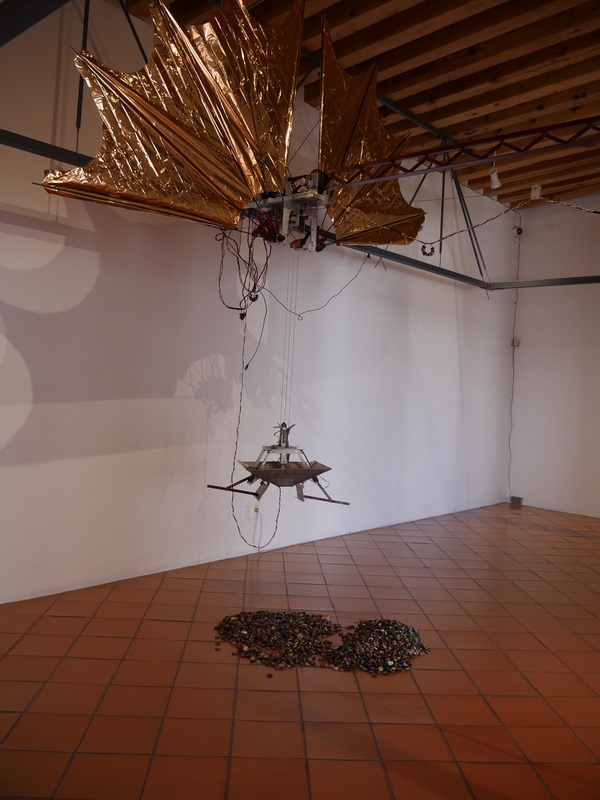 This can be perceived in Tocihua papalotzin (2018) an installation of monarch butterflies made out of old tin cans, and maybe even more impressively in Techpacita tlein quipano ipan Milpa Alta (2004), which is one of the last pieces of the exhibition. 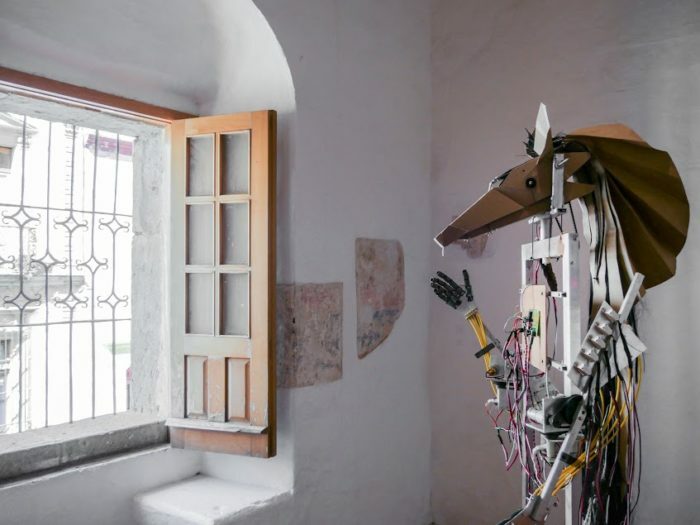 In this last, small room, a life-size horse made of plastic and various recovered materials agonizes on the floor, his flank pierced by an arrow. It intermittently raises its head or moves a limb, clinging to a life that seems to leave it slowly, but that its machine-aspect maintains. Clearly this alludes to the horse’s obsolescence in our modern societies, as it shifts from being a necessary tool to being a simple accessory for the rich, or, on the contrary, a help to the poorest, who cannot claim access to modern technologies of mechanization in agriculture or tourism. In the midst of so much desolation, the character of the coyote appears and reappears in sculptures, drawings and videos, both in its animal and human forms. The coyote (from the Nahuatl word coyotl) is also the alter ego of the artist, Fer-coyotl. It is a common symbol for both Mexican indigenous peoples and Native Americans; predator and furtive, less celebrated than its cousin the wolf, the coyote is present in a number of mythologies, both for its sense of humor as for its solitary mood and hunting skills. 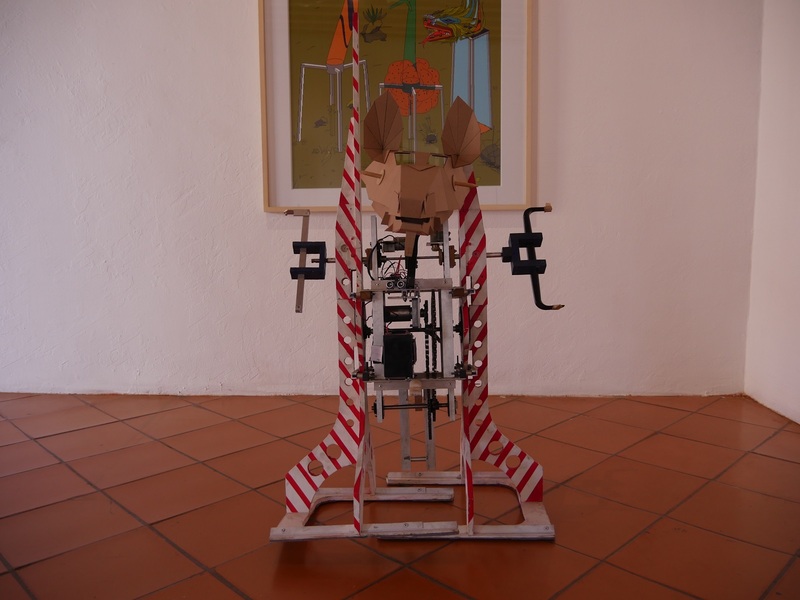 In Palma’s work, the coyote is the rebellious character who faces a world which has been destroyed at the hands of men. Through this character, the artist leaves his human essence for a moment, to come closer to a natural state. 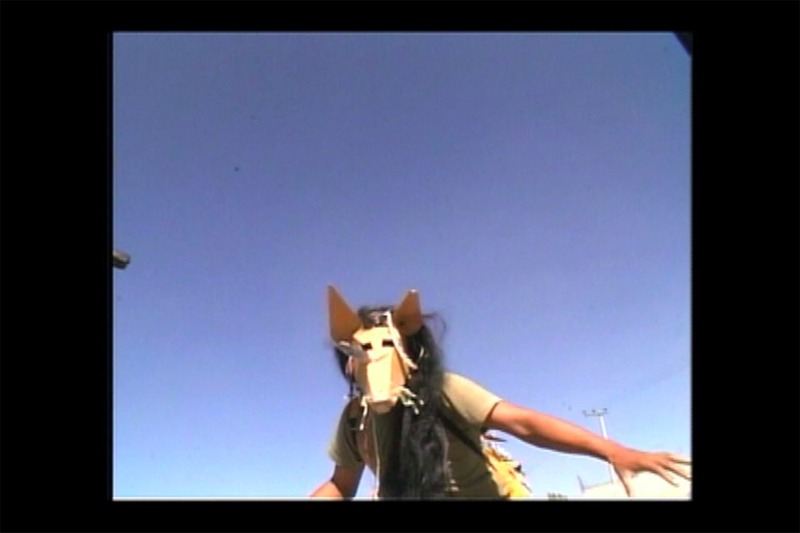 The video Si no fuera por estos momentos (2000), features transformed Fer-coyotl, shirtless and wearing a cardboard mask, roaming four emblematic places of Mexico City. He appears in Milpa Alta (Fernando’s birthplace and where until recently there were milpas, corn fields), Cuicuilco, the Santa Fe area (by then under construction) and Chimalhuacán, the name of which means “the place where the shields are kept,” and that used to be the Aztec army’s training site. The images, accompanied by heavy metal, show Fer-coyotl collecting objects and pieces of construction materials, shooting arrows…he reenacts a pre-urban, indigenous yet civilized life, which is disappearing permanently. 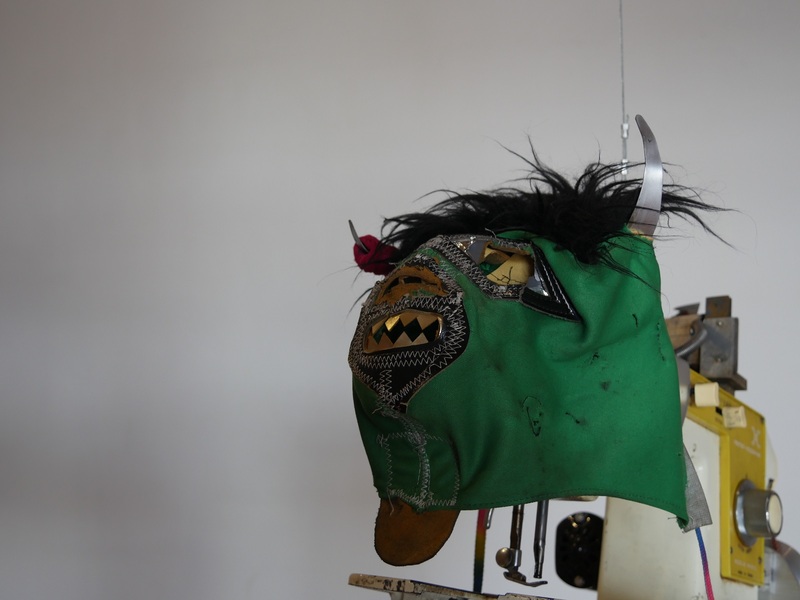 In other rooms of the museum, the coyote masks are then turned into vanities which unfold through the works. 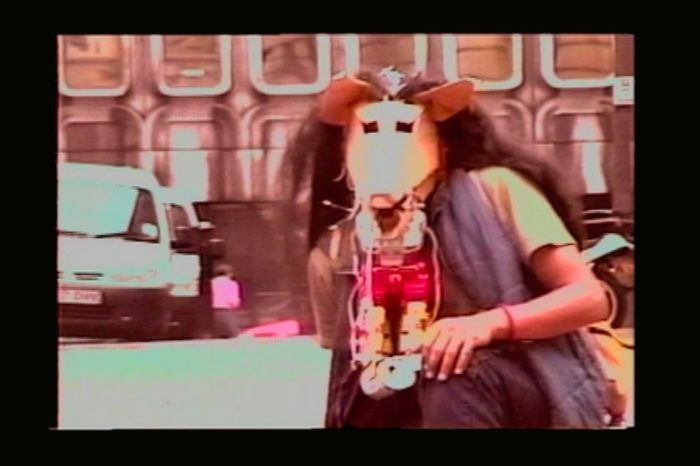 Not all of these function perfectly, like Xi mo matlazacan ce cehce (2006), or Soldados (2001), underlining the feeling of doom that pervades the exhibition. I cannot go into every artwork as I would like to, and it is a shame for there is a lot more to say, as one of the challenges of Palma’s practice is to inform the public about the multiple wisdoms and knowledges of the prehispanic world, that are still unknown to its contemporary descendants— considering that 70% of the Mexican population is mixed-blood with indigenous ancestry. The artist faces thus, as in the first work described, a task like Sisyphus’, that is to reestablish the prominence of an ancestral culture that was almost completely eradicated by colonization. It would nevertheless be wrong to believe that, as Palma’s work might seem to indicate, prehispanic society was idyllic and in perfect harmony with nature. Cortés was able to invade Tenochtitlán because of the historically established tyranny exerted by the Aztec people on the region’s tribes. Another example is the suspicion that the Mayas actually migrated from one place to another after totally spoiling the local waters and woods, only to come back centuries later. Palma’s nostalgic candor towards the indigenous world of the past could thus be the only really problematic aspect of the work. Because no civilization is perfect. Humans have never been able to live in complete harmony with their environment or with their brothers of the other tribes. This is a sad certainty, and more than the nostalgic landscape of the past, what is to be retained from Palma’s work is his reflexively implacable vision of the present, of how crooked and tragic everything is, and, of how, despite this, collateral beauty emerges from chaos and from the human destruction brought about on the planet, Guex Liu, Kuu ñunro, Totlalhuan, Nuestra tierra, Our land. Dorothée Dupuis is a French curator, writer and editor who has been based in Mexico City since 2012. She is the founder and director of Terremoto magazine. Fernando Palma no confía en el ser humano. En cambio confía desde el cariño en los animales, las plantas y los dioses… naturaleza, tierra, maíz. 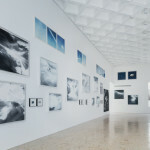 La exposición figura entonces como un paisaje largo y complejo compuesto de varias escenas que ocupan las salas del museo. Las instalaciones se reparten por orden no cronológico y responden a las condiciones arquitectónicas y de luminosidad distintas de cada sala —el museo está ubicado en un antiguo edificio colonial del centro de Oaxaca, alejado de cualquier noción común del cubo blanco: madera aparente, piso de cerámica, paredes desiguales, etc. 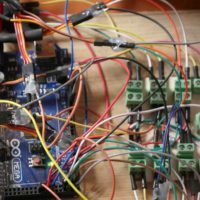 Esto podría rebasar las instalaciones que forman la exposición ya que referencian constantemente a la colonia y a mundos antiguos; sin embargo, las obras se integran armoniosamente a ese marco difícil, a veces ignorándolo y a veces jugando con el mismo. Muchas de las instalaciones han sido expuestas en otras ocasiones a lo largo de los últimos años y el espectador que conozca la obra de Palma podrá disfrutar de verlas en conjunto. Hay otras instalaciones que no fueron presentadas antes el público porque su realización quedó pendiente por resoluciones técnicas difíciles de lograr. 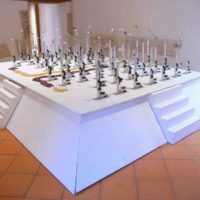 Por decisión de mutuo acuerdo entre el artista y el curador, Oliver Martínez Kandt, dichas obras son expuestas en aquel estado inconcluso, no acabadas, a veces rotas, como si estuvieran a la espera de que alguna magia venga a animarlas. 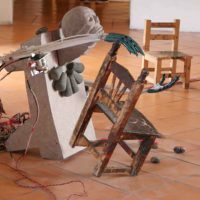 Contrario a la costumbre del mundo del arte contemporáneo actual de presentarnos obras cuya realización alcance un nivel técnico perfecto, esta decisión que busca resolver la frustración de producción hace coherencia con la trayectoria y proceso conceptual del artista, quien siempre ha considerado la técnica y su relación conflictiva con la misma como una de las problemáticas centrales de su trabajo. El trabajo de Fernando Palma es indisociable de su identidad, ya que antes de reconocerse como mexicano se reconoce por su origen indígena: nahua, del pueblo de Milpa Alta, en la parte sur de la Ciudad de México. La vida de Fernando ha sido como la de muchos mexicanos de su edad, es decir, una vida de exilio para la búsqueda de un sustento laboral incierto. Aunque emigró a Europa a finales de los ochenta para estudiar, permaneciendo allá hasta 2014, decidió volver a su tierra natal para defender su cultura nativa. Su defensa no sólo se lleva a cabo a través del arte sino también a través del activismo desde la asociación civil Calpulli Tecalco que dirige junto a su madre, su hermana y otros miembros de su familia. Se puede entonces decir que la práctica de Palma, aunque no fue sostenida de forma constante, él nunca la dejó por completo. Desde su regreso a México ha tenido varias exposiciones dentro y fuera del país que le han permitido retomar varios proyectos cuya producción no había sido finalizada. 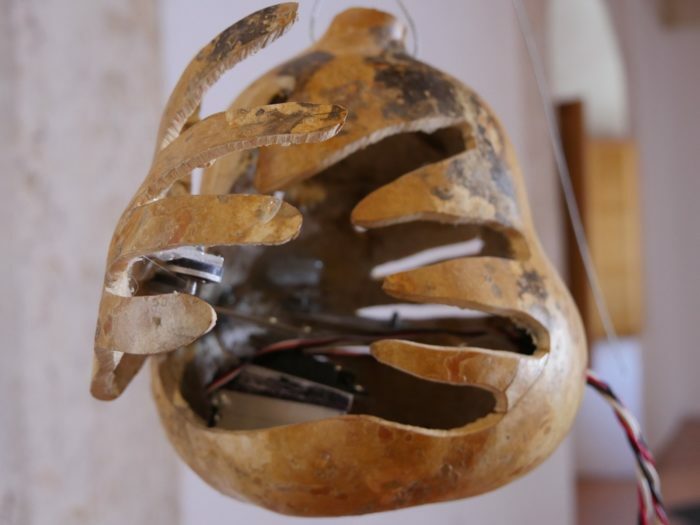 En este sentido la exposición de Oaxaca, formada por trabajo que Palma retomó desde hace casi dos años, es una excelente ocasión para entender la profundidad de un conjunto de obras que por múltiples circunstancias se mantuvo en confidencialidad a pesar de haber comenzado su producción hace más de 25 años. Aquellas complejas instalaciones que fueron completadas con éxito son presentadas en la parte delantera del museo, que mira a la calle, mismas que muestran nuevas realizaciones combinadas con obras anteriores. La primera sala está dedicada al tema del agua, un problema que preocupa mucho a Palma y que investiga con prioridad en su práctica actual siendo la escasez de este recurso uno de los principales problemas a los que se enfrenta Milpa Alta. En la parte izquierda de la sala se encuentra Aqua (2015) una instalación de guajes suspendidas en el aire con un corte en forma de manos extendidas; su movimiento de apertura figura el aleteo de aves o mariposas. 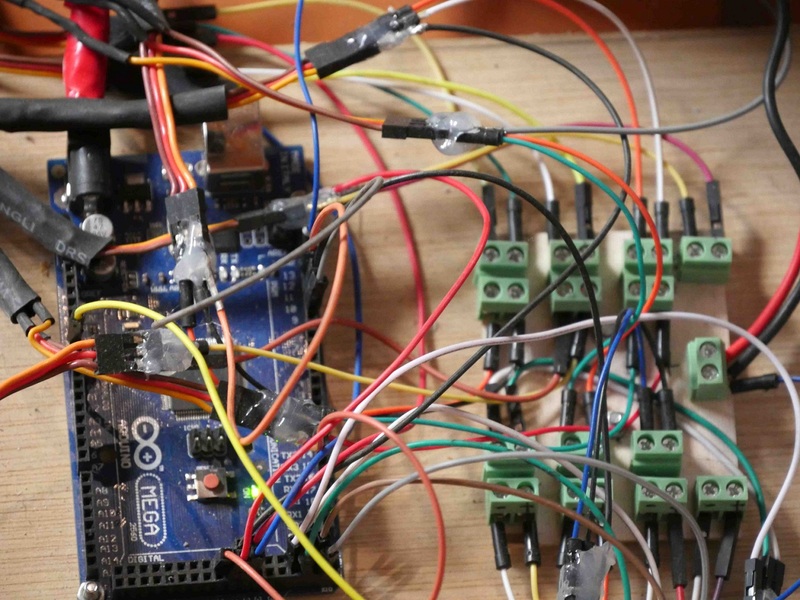 Estas “criaturas” se mueven por un sensor de movimiento, sistema usado a lo largo de la muestra. El gesto de abrirse revela un vacío en el guaje, usado tradicionalmente por los indígenas para contener agua. Entonces abrir el guaje es soltar el agua… un eco del mito de Sísifo. Al piso, montículos de tierra componen un paisaje de donde surgen varias caras de barro figurando a Cosiyo, dios de la lluvia y del rayo del mundo zapoteco —una de las metas de la exposición es mezclar las cosmogonías nahua, nativas de Fernando, con aquellas encontradas en los valles de Oaxaca donde fueron producidas las piezas nuevas (las piezas de barro en este caso fueron realizadas en colaboración con la artista Lorena Ancona), dando cara a la pluralidad de los mundos indígenas que conforman México. Conviven en este paisaje Los nahuales (2017), robots microcéfalos con cabezas de metal y ojos de LED, deditos de plástico y capas vegetales. Las capas, hechas de palma, fueron hechas en colaboración con un artesano local de 86 años, el señor Trinidad Matías. Estas mismas eran usadas tradicionalmente por los campesinos para protegerse de la lluvia, antes de ser sustituidas por lonas de plástico, desechables y contaminantes. 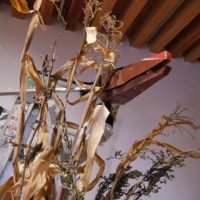 En el trabajo de Palma, detalles materiales de este tipo son una reflexión sobre la desaparición de tradiciones, usos y costumbres cotidianos indígenas que resulta de la imposición de un capitalismo petrolero y plástico en el campo. 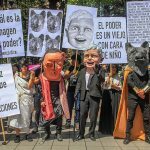 Así, la reflexión sobre la relación tóxica que tenemos con el entorno natural se sintetiza en los movimientos débiles y bruscos de las criaturas que forman parte de la exposición, movimientos que citan a una naturaleza moribunda. 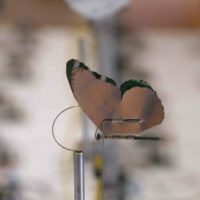 Esto se visibiliza tanto en Tocihua papalotzin (2018), instalación compuesta de mariposas monarcas hechas de latas de metal carcomidas por el medio ambiente, y tal vez de manera aún más impresionante en Techpactia tlein quipano ipan Milpa Alta (2004) ubicada al final del recorrido de la exposición. 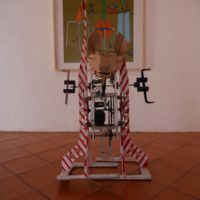 En esta última sala de dimensión pequeña, un caballo de tamaño real, hecho de plástico y de varios materiales recuperados, agoniza sobre el suelo atravesado por una flecha en el costado. 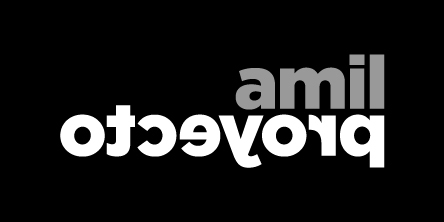 Levanta la cabeza intermitente, mueve una pata: se aferra a la vida que lentamente parece abandonarlo pero que su parte maquínica mantiene. Alude obviamente a la obsolescencia del caballo en nuestras sociedades modernas, que transita de elemento indispensable para la sociedad a accesorio de ricos, o al contrario, como ayuda de los más pobres, quienes no pueden tener acceso al progreso moderno de la mecanización en la agricultura o el turismo. 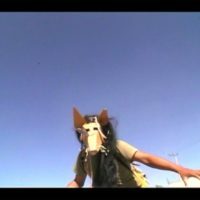 A través de tanta desolación, aparece y reaparece en esculturas, dibujos y video, tanto en su forma animal como humana, la figura del coyote (palabra que viene del nahuatl coyotl), mismo que es el alter-ego del artista: Fer-coyotl. El coyote es un símbolo común para los indígenas de México y para las tribus nativas de EE.UU.. Es un animal furtivo y predador, menos celebrado que el lobo, y está citado en varias mitologías tanto por su humor, como por su temperamento solitario o sus aptitudes cazadoras. En la obra de Palma, el coyote es la figura rebelde que se enfrenta a un mundo destruido por la mano humana. Es la manera en que el artista se deshace por un momento de su esencia humana, para acercarse a un estado natural. En el video Si no fuera por estos momentos (2000) sobre un soundtrack de hard rock metal, el artista transformado en Fer-coyotl, sin camisa y con máscara de cartón, arpenta cuatro sitios emblemáticos de los afueras de la Ciudad de México: Milpa Alta (donde nace Fernando y donde solían existir hasta hace poco cultivos de maíz, milpas), Cuicuilco, el área de Santa Fe (entonces en construcción), así como Chimalhuacán, cuyo nombre significa “lugar donde se guardan los escudos” y que solía ser el sitio donde antiguamente se entrenaba el ejército azteca. 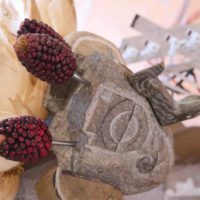 En el video Fer-coyotl recolecta objetos, pedazos de material de construcción, tira flechas al vacío: re-actúa una vida indígena pre-urbana aunque civilizada, en proceso de desaparecer para siempre. 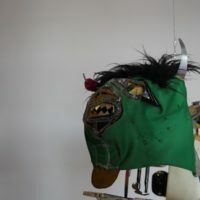 En las otras salas del museo, las máscaras de coyotes se convierten entonces en vanidades que se despliegan a través de obras que no todas funcionan perfectamente, como en Xi mo matlazacan ce cehce (2006) o Soldados (2001), acentuando el sentimiento de Apocalipsis que reina sobre toda la muestra. No puedo profundizar como quisiera en todas las piezas de la exposición y es una pena pues hay mucho que decir: ya que uno de los retos de la práctica de Palma es informar al espectador sobre las múltiples sabidurías y conocimientos antiguos del mundo prehispánico que aún son desconocidos para sus descendientes contemporáneos —considerando que el 70% de la población de México es mestiza de orígenes indígenas. El artista se enfrenta entonces, como en la primera obra que describí, a una tarea Sísifa de restablecer la prominencia de una cultura ancestral que fue casi completamente borrada por la colonización. Sin embargo, sería un error creer que el mundo prehispánico, como se podría pensar a partir de la obra de Palma, era una sociedad idílica y en perfecta armonía con la naturaleza. Cortés pudo invadir Tenochtitlán a causa de la tiranía ya establecida históricamente por parte del pueblo Azteca sobre otras tribus de la región; y se sospecha también que los Mayas emigraban de sitio en sitio después de despojar completamente un lugar de sus reservas de agua y selva, antes de retornar a ese mismo sitio siglos después, por ejemplo. La candidez nostálgica de Palma hacia el mundo indígena del pasado podría ser entonces el único punto realmente problemático de la obra. Porque no hay civilización perfecta. Nunca el ser humano ha logrado vivir por completo en armonía, ni con su entorno, ni con su hermano humano de la tribu vecina. Es una triste certidumbre y más que el paisaje nostálgico del pasado, de la obra de Palma hay que tomar su visión reflexivamente implacable del presente, de lo retorcido y trágico que es todo, y a pesar de esto, de la belleza colateral que nace del caos, de la acción destructiva ineluctable de la mano humana sobre el planeta, Guex Liu, Kuu ñunro, Totlalhuan, Nuestra tierra, Our land. Dorothée Dupuis es curadora, escritora y editora francesa con sede en al Ciudad de México desde 2012. Es fundadora y directora de la revista Terremoto.